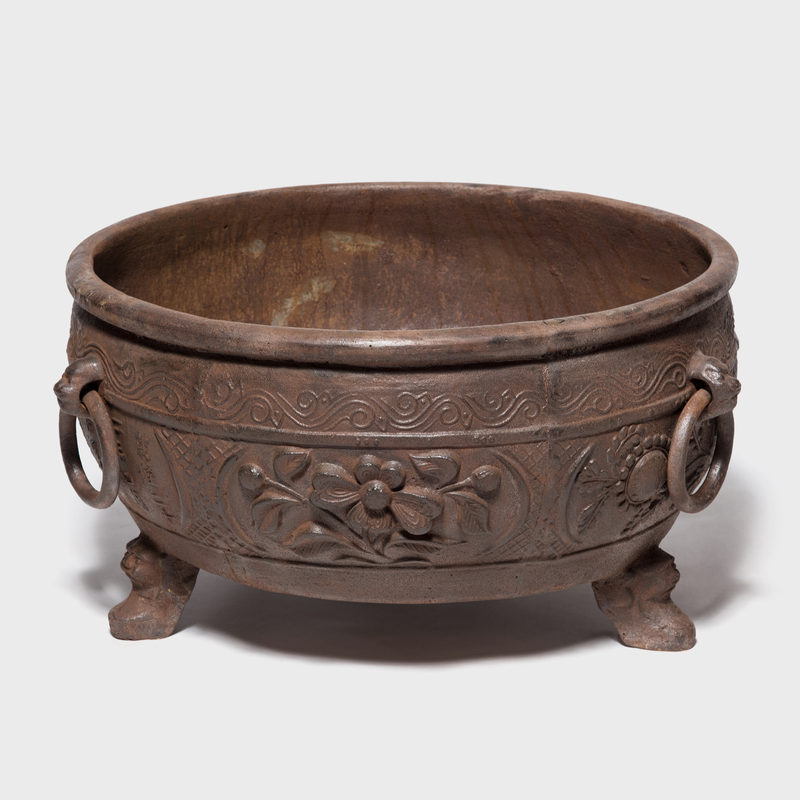 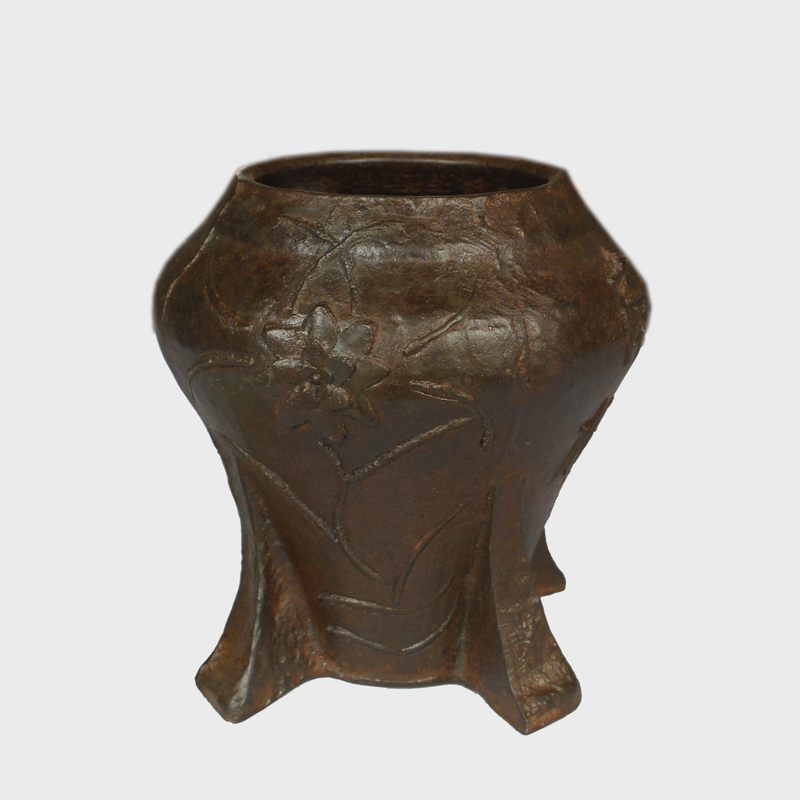 This vintage mortar and pestle from Shanxi, China was cast in iron with a floral relief. 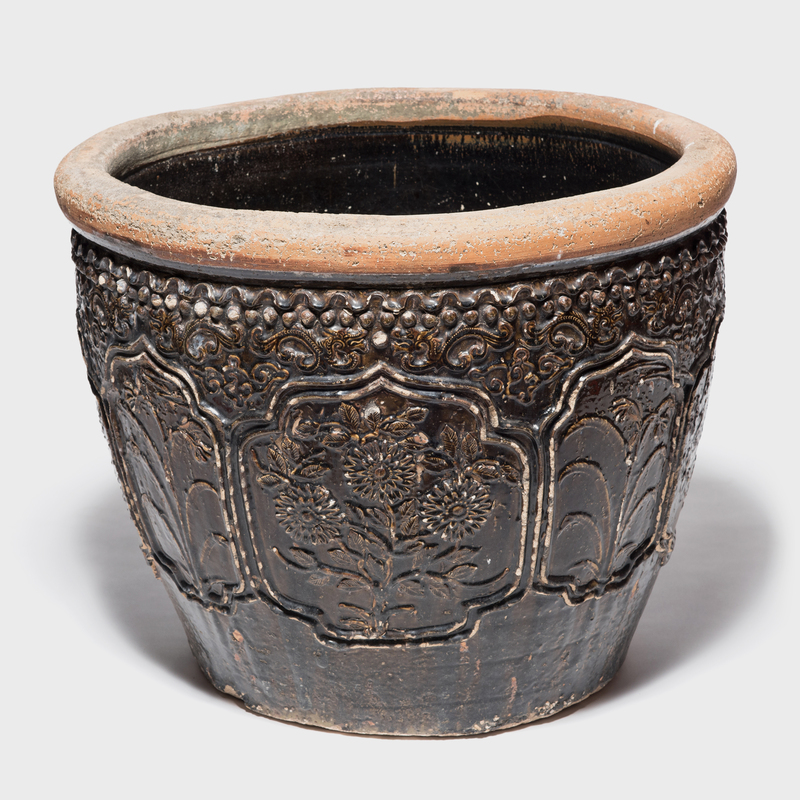 It was originally used in a traditional apothecary to create herbal medicine. 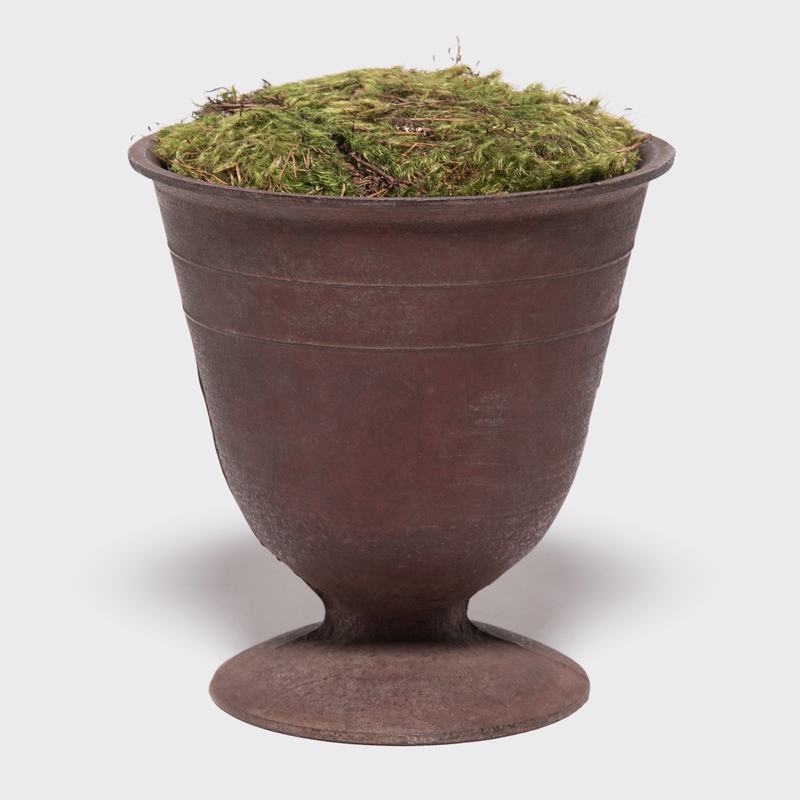 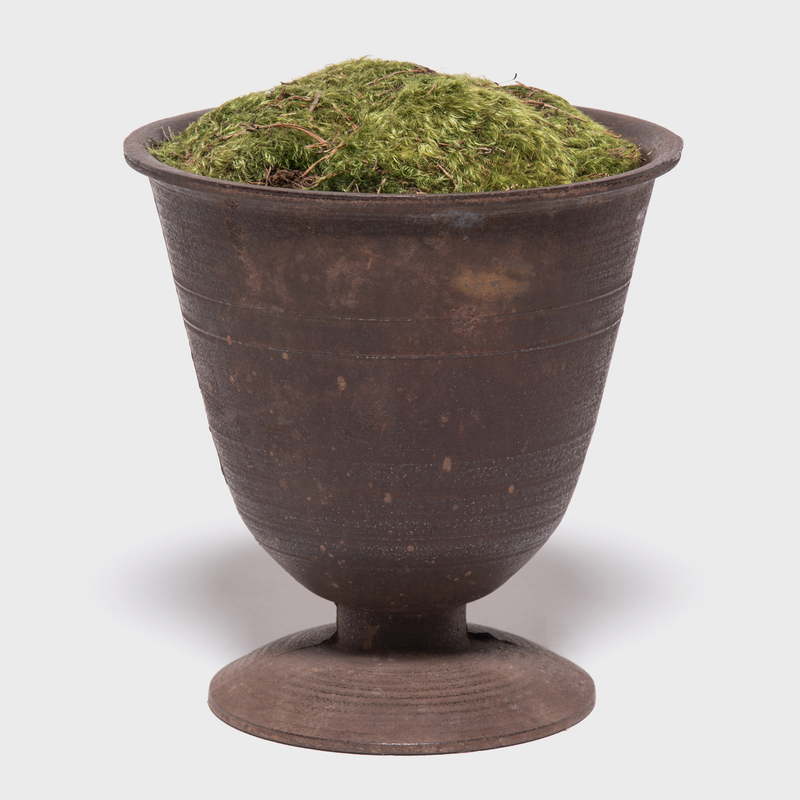 The container happens to be just the right size to beautifully accommodate a petite orchid plant.